Inspiring the next generation of veterinary pathologists is fundamentally important to disease surveillance and to the future health and welfare of both humans and animals. 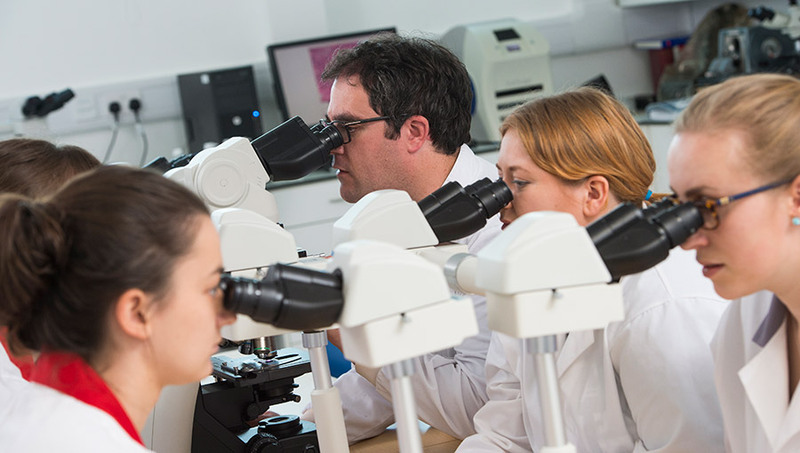 At the University of Surrey, we pride ourselves on our innovative approach to veterinary education and training. Our veterinary students are exposed to a large and varied case load, thanks to the University's strong connections with established clinical partners and the wider veterinary profession. A distributed model of teaching means that students are out in the field from day one of their education and training and are exposed to the wide range of career opportunities open to veterinary graduates, through regular contact with clinicians, research institutes and government agencies.